Size: 2 1/16" - 3/4"
Double Studded Adapter Flange is a combination of flanges of different sizes and pressure ratings. Sunry supplies DSAF (Double Studded Adapter Flange) in various sizes and pressure ratings as per customer's specified thickness. 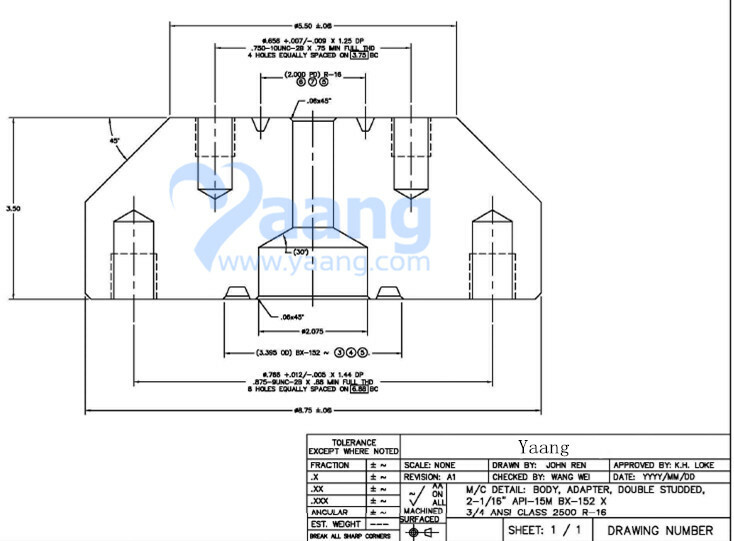 China Double Studded Adapter Flange Manufacturer Yaang offers Inconel 625 Double Studded Adapter Flange. To provide matched high-quality bolts and nuts with different materials. To do soldering processing to reduce customer costs. The studded flange (DSA), including cylindrical flange body, is featured that there is a through-hole in the middle of the flange body to connect the flange body's top and bottom undersurfaces, and the flange body's up and bottom undersurfaces have bolt holes, and the flange body surface between the bolt hole and the through-hole has the seal groove. The studded flange has such advantages that it is a removable connecting part, flexible and simple to install and easy to operate and maintain. 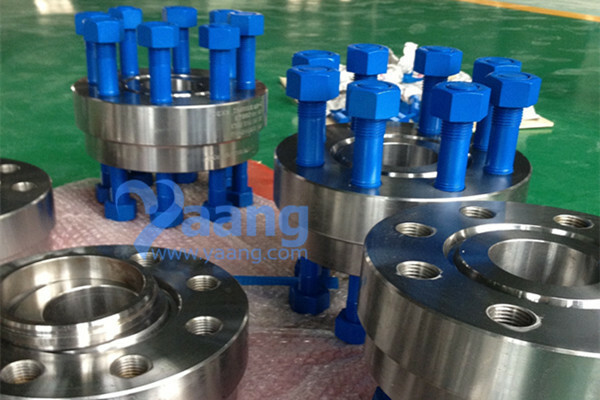 The studded flange can be used for transition connection between flanges with different standards as well as flanges of different sizes at the same standard. It greatly reduces the workload in installation, speeds up the progress of the works, and saves installation costs. In particular, it has played a very important role in a very complex working environment. Where can we find the high quality Inconel 625 Double Studded Adapter Flange.